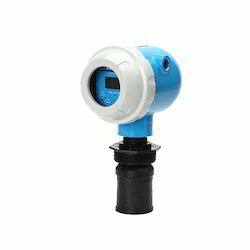 ULM-1000C is an ultrasonic non-contacting level meter designed sensor and transmitter in one compact unit. The measurement range is 6 meters. It is a two wire loop-powered product. ULM-1000C provides a user friendly design so it is very convenient to operate and install. It is also simple and inexpensive to maintain. All functions are optimized which enables you to effectively monitor the liquid level and keep your facilities running safely and reliably. ULM-200C is an ultrasonic non-contacting level meter designed sensor and transmitter in one housing by an explosion structure. The measurement range is 8 meters and 10 meters. It is two-wire loop-powered product. The sensor material is PVDF so it can be applied in various industry applications. Its simple maintenance expects economical effect of managing facilities. The accurate level and reliable performance enable you the effective level monitoring and your facilities running safely and consistently.